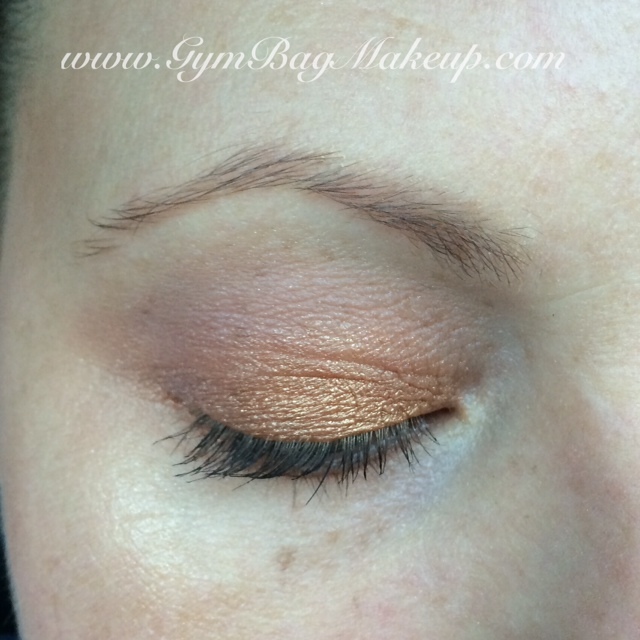 In the interest of full disclosure, I THINK that this particular eyeshadow was a gift with purchase. However, it’s been a really long time since I placed my order with Camp Cosmetics and I don’t have the invoice any more. We’ll just go with it being a gift. 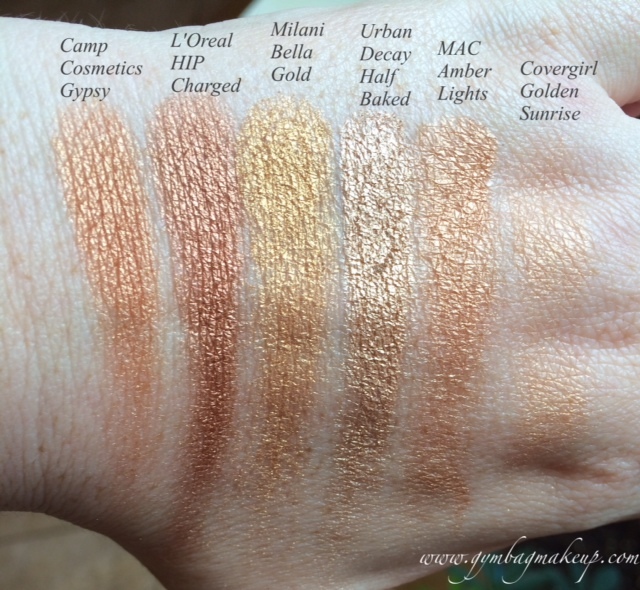 Regardless of how I came by this particular shadow, I wanted to do a quick show and tell because it’s lovely and because there aren’t bajillions of swatches of CC products out there. I can’t find a listing for how much product is in each pan but it is the same size as a MAC eyeshadow. 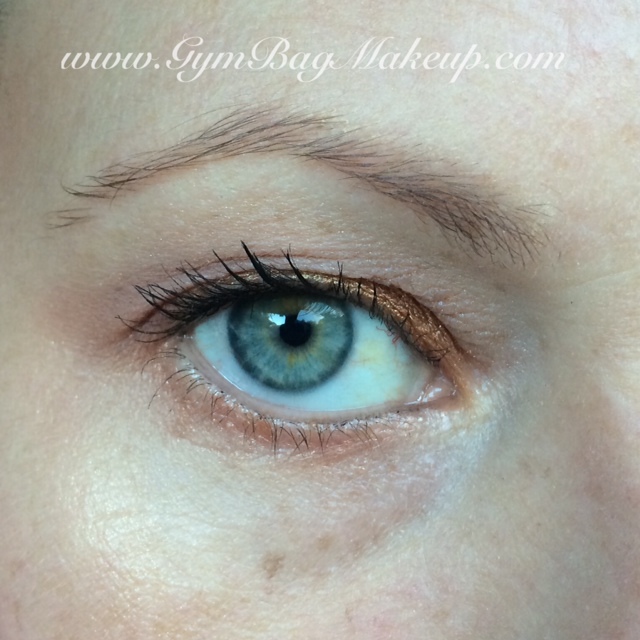 Pigmentation and Texture: This has very good pigmentation. 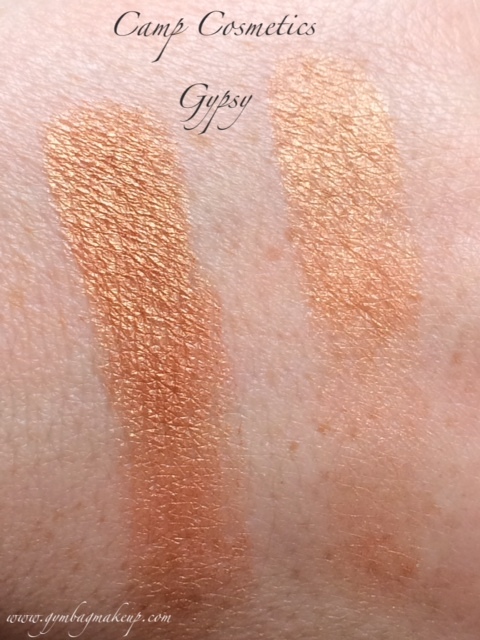 It isn’t the most “buttery smooth” shadow in the world but it is soft enough that it’s easy to pick up product on a brush without being so soft that it is powdery. Wear Time: This wears really well for me. I have no issues with fading or creasing and it still looks good when I get home after a full work day. Pricing and Availability: $16.50. 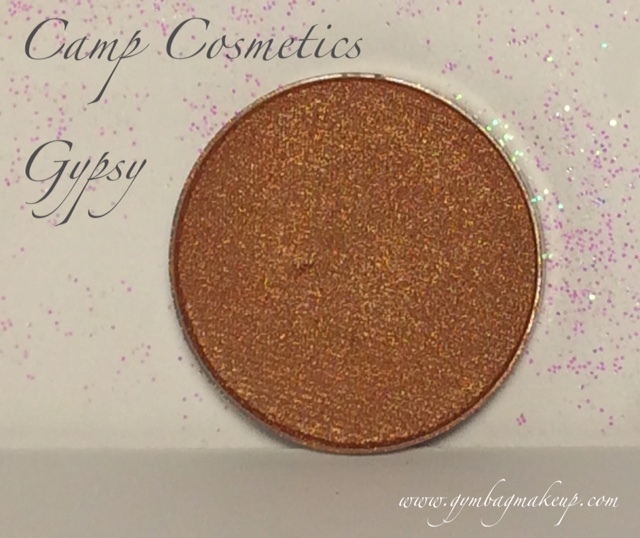 Camp Cosmetics recently updated their website and now you can actually place orders online! For quite a while all orders had to be placed by phone or email. Customer Service: Phenomenal! Michael is just the nicest. He answered all of emails promptly and was just generally a delight to talk to. I also just found the email chain and he DID include this shadow as an extra with my order. 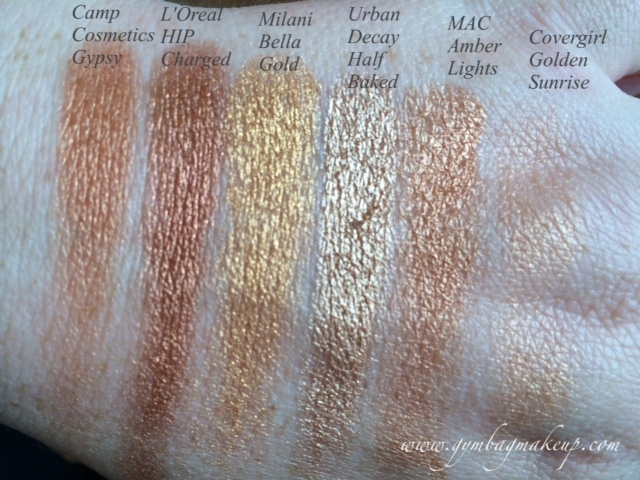 If you’re like me, you might have one or two gold eyeshadows in your collection. 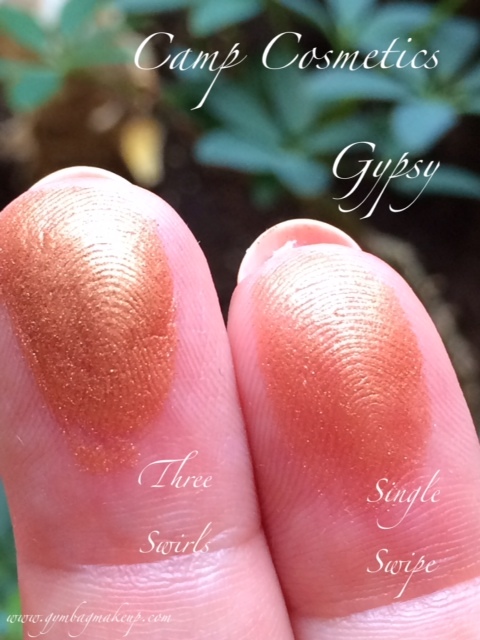 So I swatched this next to a handful I have on hand so you can see how it compares tonally. 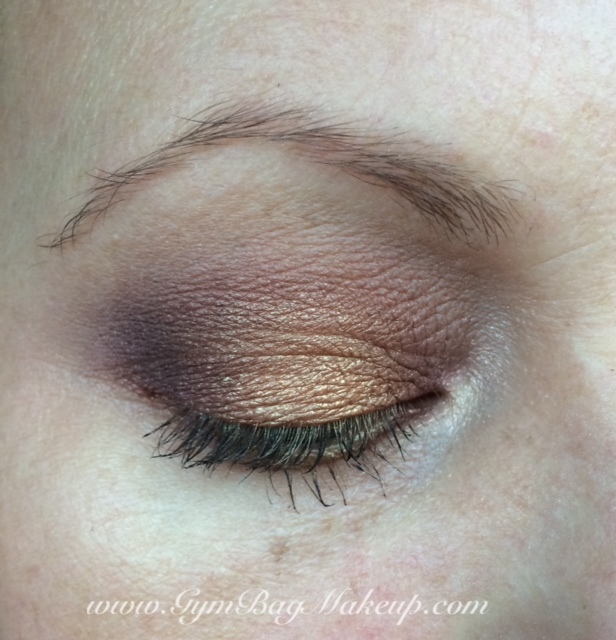 This look is Gypsy with the Maybelline Blushed Nudes palette. 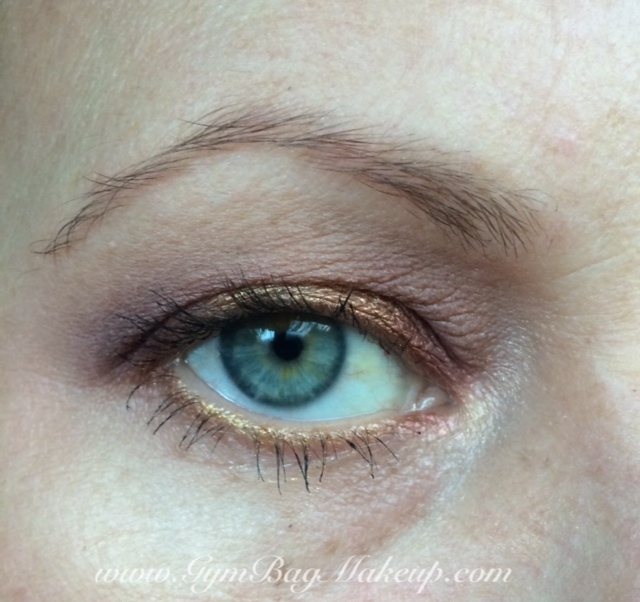 This look used Gypsy with the Kiss My Sass eyeshadows from the September LAA subscription. Both looks ended up very similar. I’ve just been digging gold with reds and pinks lately, what can I say? 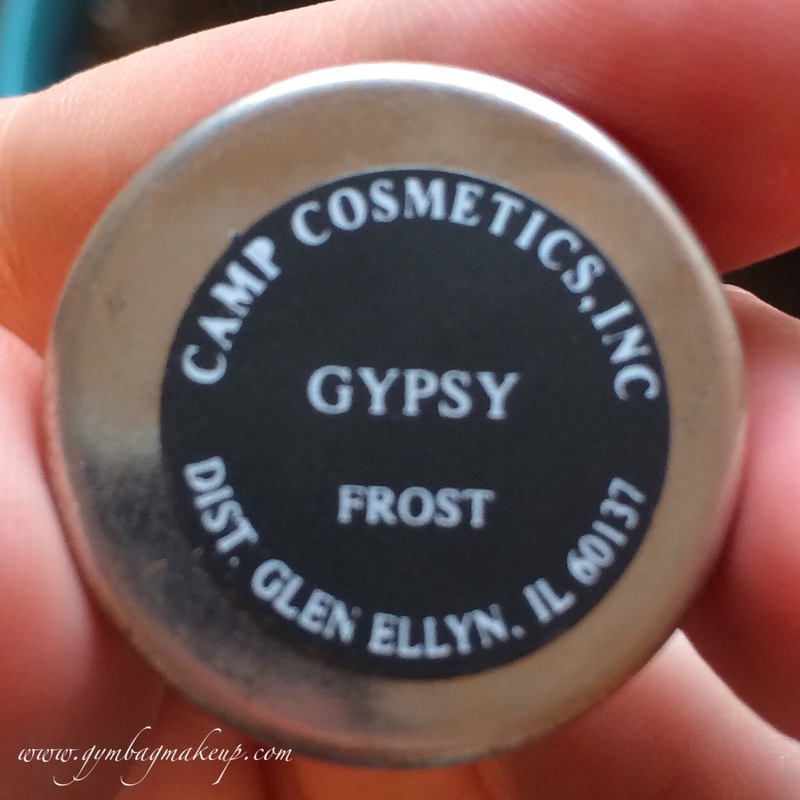 Have you tried anything from Camp Cosmetics? I’d love to know what! Gorgeous shade for sure, but yuck name. =( Yoooo, that Bella Gold, though. 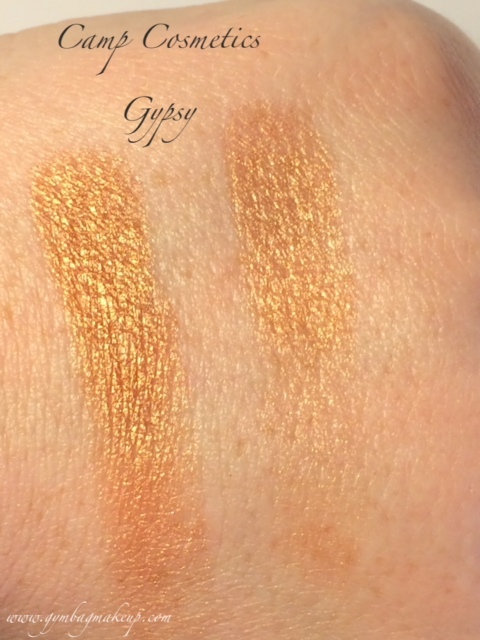 I keep wanting to order ColourPop’s Get Lucky, it looks like a gorgeous gold. Why is gold so fun?? Blush, lipstick, highlighter, eyeshadow… just dip my face in gold. I’m going to let my ignorance show here for the sake of enlightenment, is the name Gypsy offensive in some way? It’s actually a very offensive slur for the Romani people. =o It’s something I learned not too long ago, it’s sad how often it goes unnoticed, especially in the US of A here where the Romani social issues aren’t as present. Gold blush does sound cool, doesn’t it? 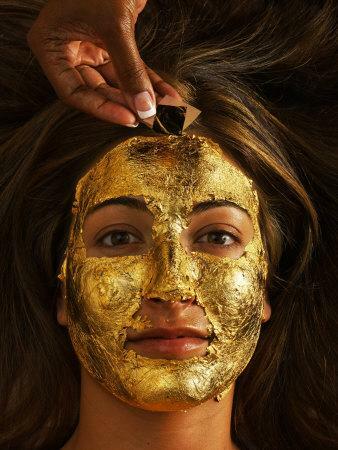 Makes me think of that one Time magazine years ago where the cover had a woman with a thin layer of gold all over her face. It was stunning! That sounds incredible, I’ll have to google that! Do it! =o This is the closest I could find to the original image: https://cdn.shopify.com/s/files/1/0165/5980/files/Goldfacial_large.jpg It was at least 5 years ago, haha. That’s cool! Man, who knew there were so many Time covers associated with gold in some form?